We are in week 46 of the current year and I have about 10 pillowcases to makeup and catch up and send out so that I can finish my goal of making at least one pillowcase for every week of the year. With the serger, I can't get over how easy and quick they are to make. However, I am finding that the color bands applied to the top are shorter than the pillow cuts. I tried to "eye" them up on the serger and lop off the longer edges but probably not a good idea. 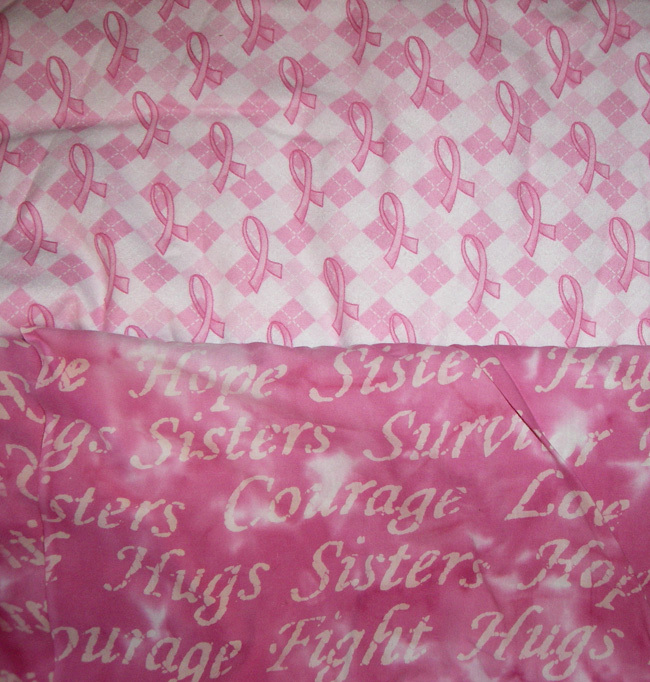 The pillowcases still turned out great, just that they don't match up in widths from pillowcase to pillowcase. That's OK, I don't think anyone is going to be measuring them. As long as they are straight and a pillow fits in them, they are good to go!! 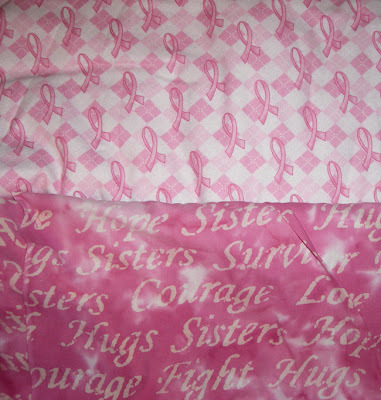 The argyle pink ribbon design fabric is a super soft flannel. I added a flannel top band as well. They are soooo soft! I thought the photo of the pillowcases had a more yellow tint to them. 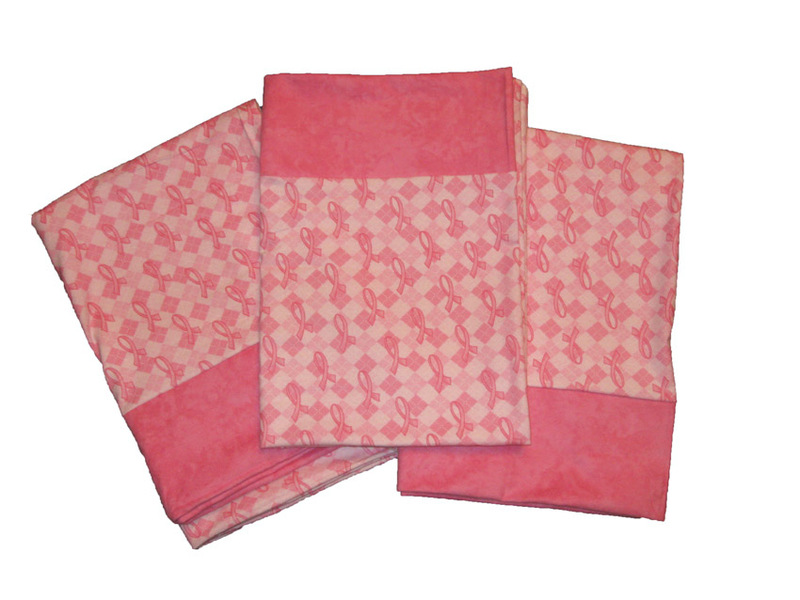 Here's a better photograph of the soft pink color of the argyle flannel fabric. Photo Pillows - Take 2, or was it 3?